Well...I know this is like but, what's the consensus on the Best front tire for a trike setup? Well, I came ...Now with your help hopefully I will find a good front tire. Ideal trike set up/conversion should include altered trail fork. steering damper, different rim so car tire can be used on bike that does not bank. Front left stock----any low priced scooter tire that is as least S speed rated, proper load rated or maybe the max load capacity scooter tire in proper size Got lots of money? maybe EML in Holland can come up with car rim that would work. My take-----SilverWing was not designed to be trike----strains on bike created by trike?? No safety approval standards for trike conversions in US. I think a lot of old farts ( I am 75) who never had much 2 wheel skill when they were young find trikes appealing-----sidecar would be more fun (Texas Sidecar) but requires skill to go down road in a decent manner. Have considerable 3 wheel experience----2 Messerschmitts and 40 years of sidecar use. 3 wheels need to be watched----most roads --mud snow,groves tend to work better with 2 track vehicles. john ,just to let you know not all trike conversion kit needs to change the rack setting ( triple tree) . My trike kit does not require to replace the rack setting on any of there trike kit model. there is no head shake. 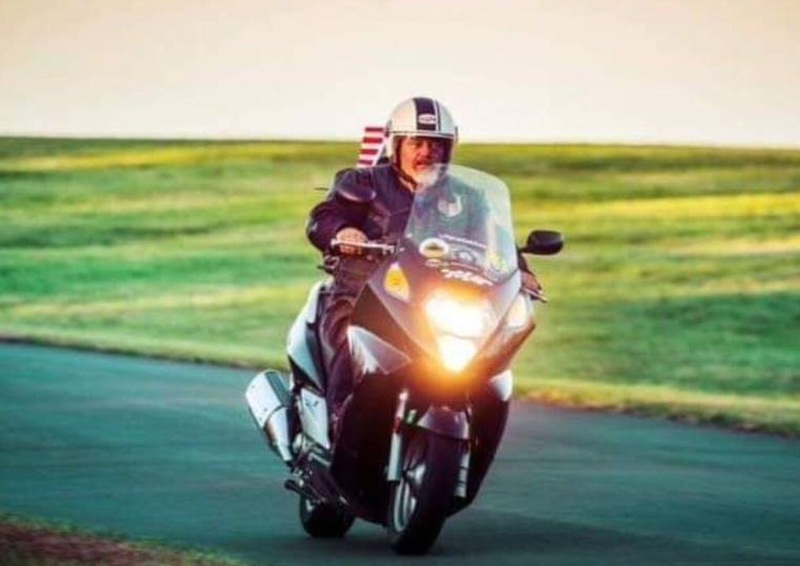 I am not as old a fart as you are ,I am a experience rider that no longer can ride a regular MC or scooter other then triking my ride to keep on riding . ( You won't get rid of me that easy). As for front mc tire my first tire was a Avon striker that fell apart , half the tire cupped 1/4" groves every 4"in less then 4k kl tire defect. Now I have Misheline pure sport with dual rubber compound.I have more then 10k kl with my trike and no sign of warring out with 2 once balancing bead's and runs very smooth no vibration .My trike kit came with balancing beads also. I run Bridgestone on my trike. Now have over 6'000 Miles on it and she still good for another trip from Florida to Oklahoma. I keep a eye on and check for cupping. Am out to lunch on a car tire next time around but a 165/65 car tire for the rear going on next week. My front is starting is stock and Wing is a 2004 and has had Voyages kit on since New. John, Tinman, thanks for the replies. I have owned Bmw K75RT with sidecar: Needed new triple tree, rear conversion for car tire rim, and steering damper. Apparently this bike needs none of that. I also am in the "old fart range" and probably owned 30 + bikes over the years. I love to do all of my own work as well as engine rebuilding and painting. My number one priority is safety.